eaw048794 ENGLAND (1953). Chubb and Son's Lock and Safe Co Ltd Works off Wednesfield Road and environs, Heath Town, 1953. This image was marked by Aerofilms Ltd for photo editing. 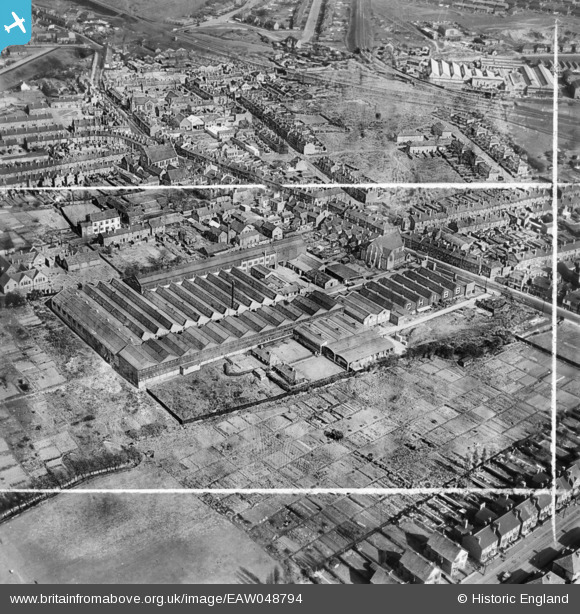 Pennawd [EAW048794] Chubb and Son's Lock and Safe Co Ltd Works off Wednesfield Road and environs, Heath Town, 1953. This image was marked by Aerofilms Ltd for photo editing.